“Just Relax”. If you’re a woman that has struggled to get pregnant, these are not words you want to hear. Following this advice, however, may be one anecdote to boost fertility according to a study published in Human Reproduction. While there is no direct correlation —- no how, why and absolute, as they say —- the study does suggest stress could be a possible impeding factor to how soon you become pregnant. After testing more than 400 women that were trying to get pregnant, the study found that the ones with higher levels of alpha amylase (a sign of long standing stress) were less likely to conceive within a 12-month time frame. For a woman that is looking to get pregnant sooner as opposed to later, reducing stress might be one approach to take into consideration. Stress can show up anywhere and is no stranger to any of us, but as innate caretakers and problem solvers, women, in particular, can be susceptible to “overwhelming” conditions that contribute to a stressful environment. Take a few minutes (as little as 5 minutes can be helpful) at the beginning and end of your day to relax your body and your mind. Utilize deep breathing techniques and turn on some soothing music. Allow time to get still and quiet. Give yourself permission to be one in the moment. Try to do this each morning before starting your day and every evening before going to bed. While exercise in itself is a great stimulant for the body, yoga tends to be a bit more comprehensive. Physically, yoga techniques are used to strengthen, tone and stretch the body. 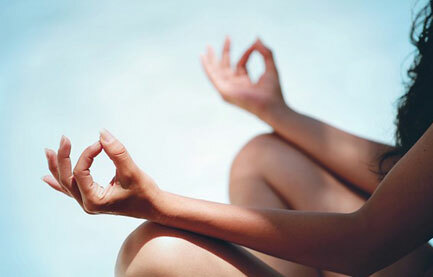 Emotionally, yoga is used to build mental stability and calmness. Journaling is a powerful and simple way to process your thoughts, ideas, and feelings. When integrated into a regular routine, you’ll find that writing your thoughts out on paper is an amazing stress reliever. Many factors can contribute to infertility. Increased stress is just one possibility. We encourage you to give these ideas a try as a part of a more comprehensive fertility treatment plan. Holistic Gynecology combines conventional medicine with natural treatments in order to promote and increase general wellness and manage gynecological issues. Learn more about our fertility services.